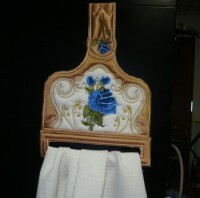 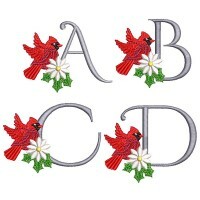 Here are the most recent embroidery designs from Stitch Delight. 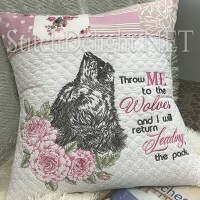 A stunning combo of celtic designs, roses and a wolf. 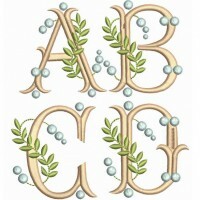 Versatile designs to use alone or in combinations. 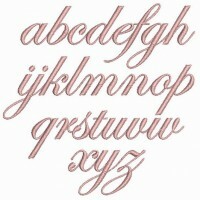 A tiny heirloom font with beautiful swirling letters. 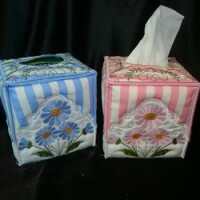 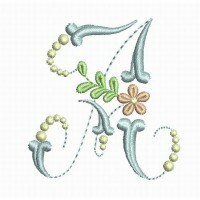 Sunny floral font with letters 2.35 inches high. 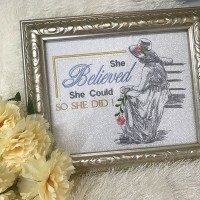 An inspirational quote in various hoop sizes. 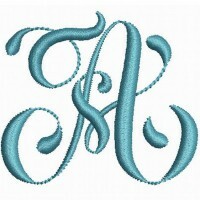 Personalize your project with this stylish monogram. 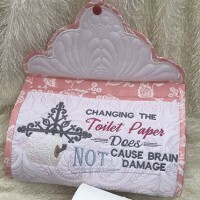 Humorous design to make an amusing toilet roll hanger. 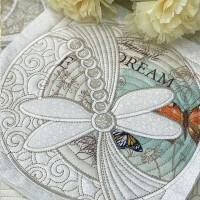 Beautiful design to inspire a special woman. 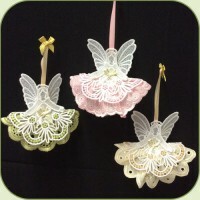 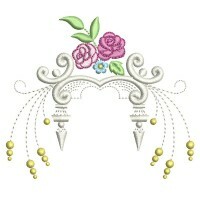 Lovely design available in multiple hoop sizes. 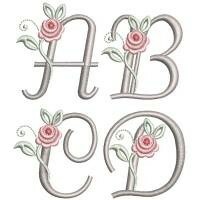 Pretty lacey monogram standing 3.93 inches high. 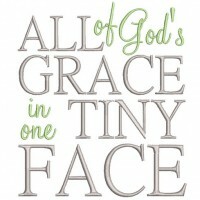 Upper case font with a height just under two inches. 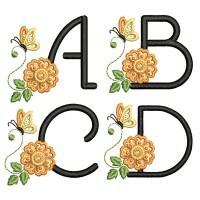 Fancy monogram font split with delicate daisies. 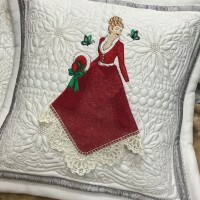 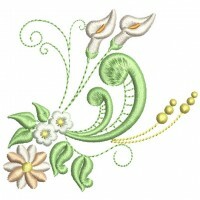 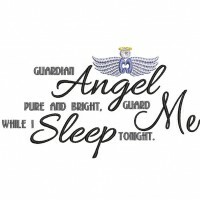 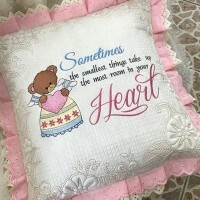 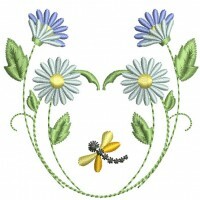 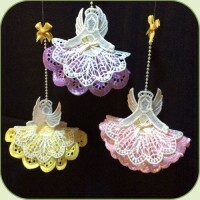 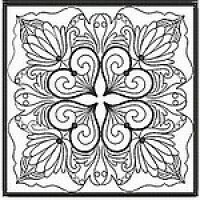 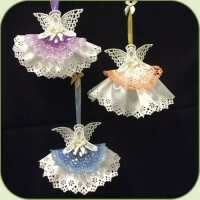 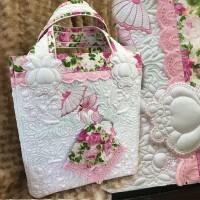 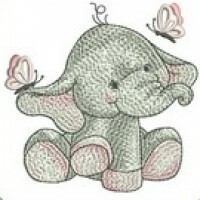 Here are the all time favorite embroidery designs from Stitch Delight. 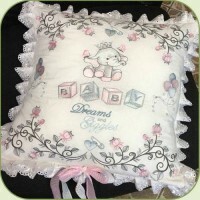 A lovely set of sweet baby designs. 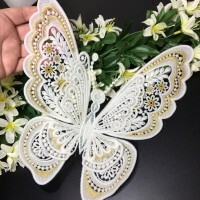 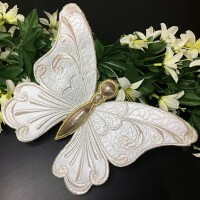 Graceful and delicate large butterfly. 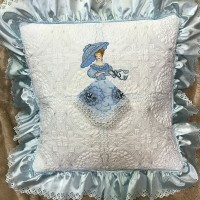 In the hoop pillow for a new baby. 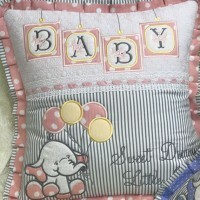 Lovely large-hoop pillow for a new baby. 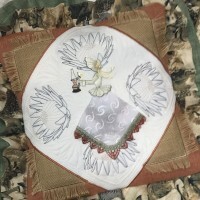 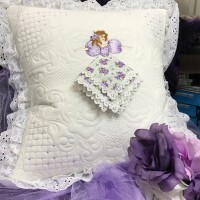 A gorgeous pillow for a new baby. 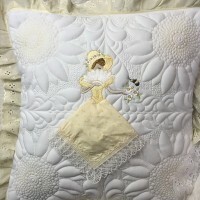 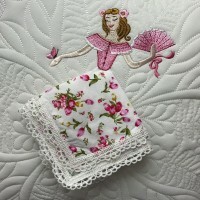 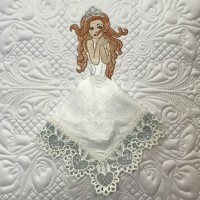 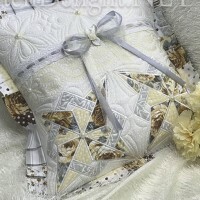 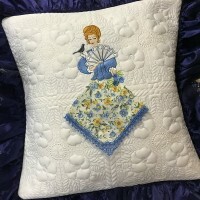 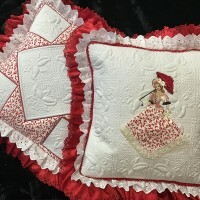 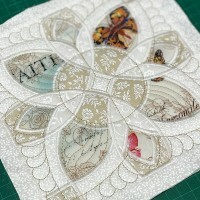 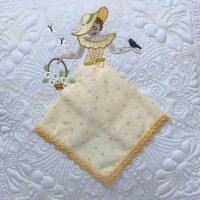 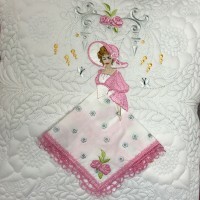 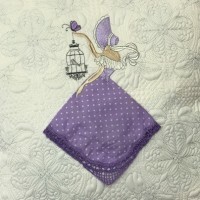 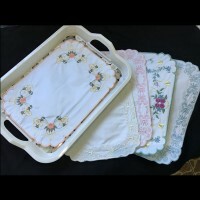 A beautiful hanky belle adorns delicate quilting. 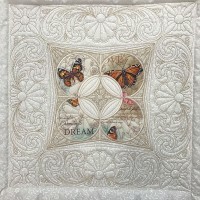 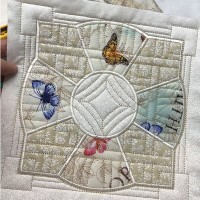 A lovely large butterfly stitched on fabric. 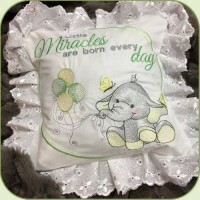 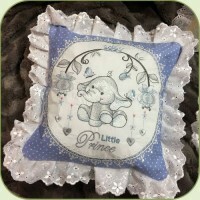 Gorgeous pillows for a new baby boy or girl. 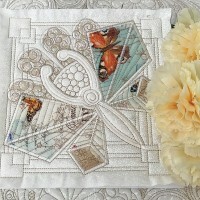 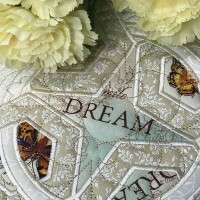 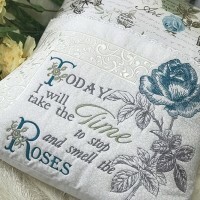 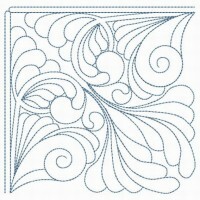 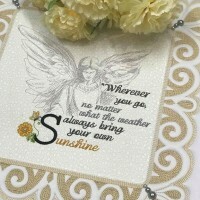 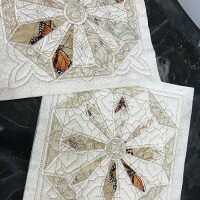 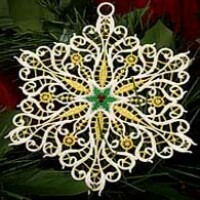 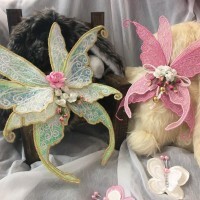 Here are the current season's most popular embroidery designs from Stitch Delight. 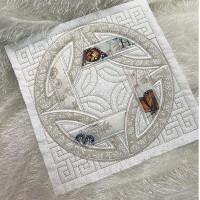 Single hoop quick projects for large hoops. 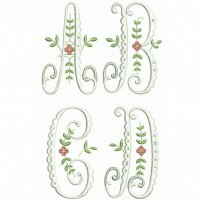 Delicate roses adorn fretwork sprays. 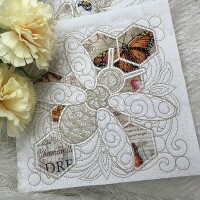 Lilac daisies and golden dragonflies. 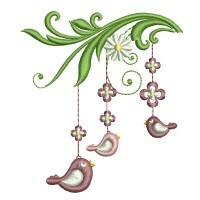 A chirping mobile and swirly daisies. 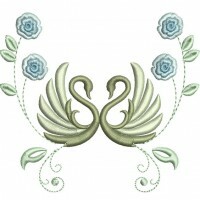 Eggshell blue swirls with ecru swans. 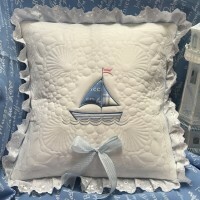 Beautiful ocean themed pillow for large hoops.